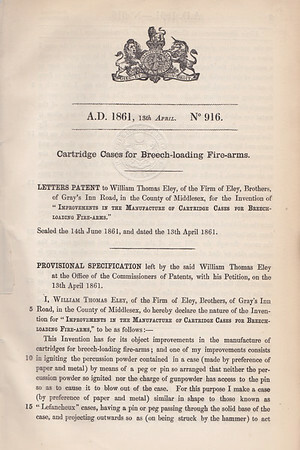 Pinfire shotshells first show up in an Eley price list on 31 August 1860, It was in a trade journal called The Ironmonger & Metal Trades Advertiser. They listed 1000 12g shotshells for 50 shillings as well as 1000 16g shotshells for 40 shillings. 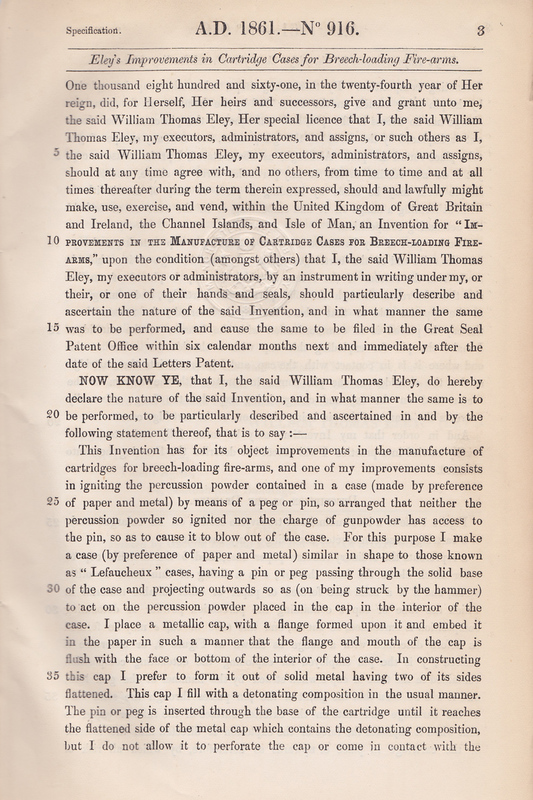 On 13 April 1861 William Thomas Eley took out a patent for an improvement to the pinfire shotshell. 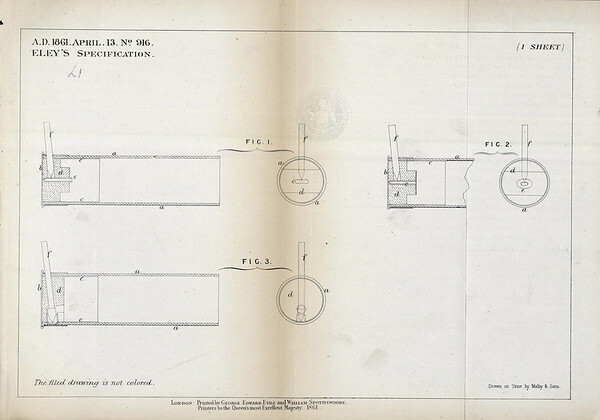 The key aspect to this patent was to better fix the cap into the case and prevent the pin from flying out of the case on detonation. 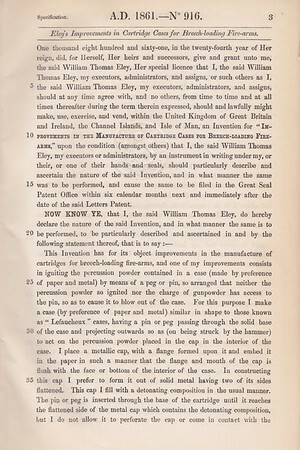 This idea would be further refined in 1869 and become one of Eley’s main advertising features; their patented gastight cartridge. 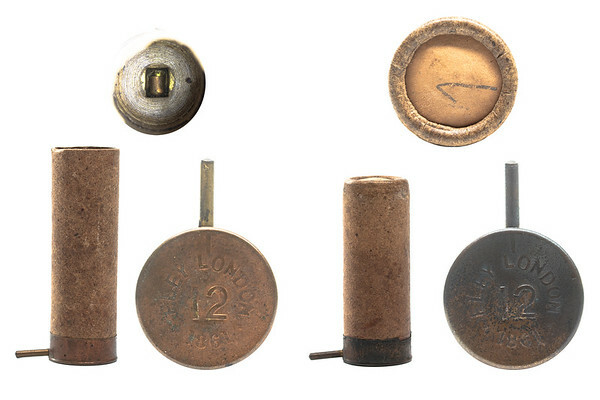 These gastight cartridges had a metal inner lining that would prevent the case from expanding so much that it would separate from the base allowing gas to escape. 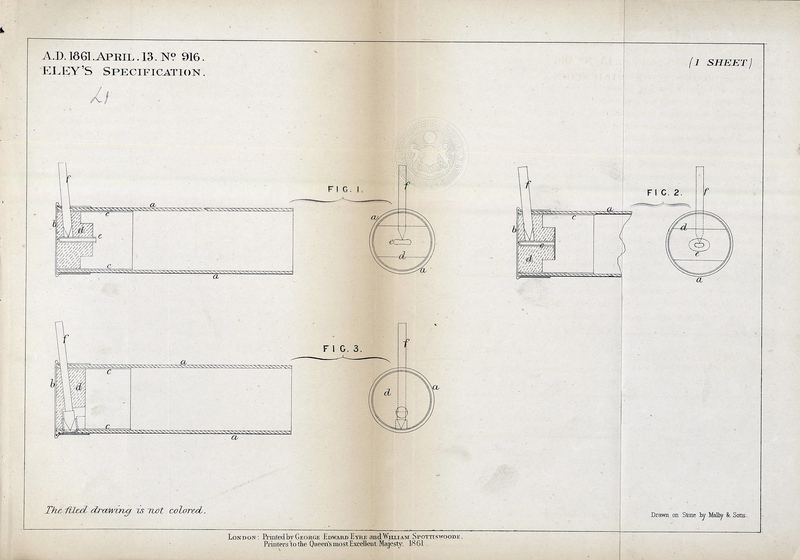 This feature is actually present in these 1861 patented cases. However the most notable feature is that the headstamp says 1861 on it. 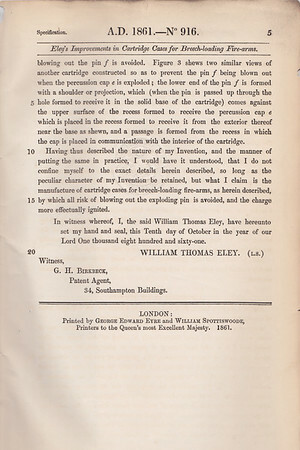 The writer of the book, Eley Cartridges, believes that this is Eley’s first shotshell. He believes that the cartridges in their 1860 ad were ones they resold from a French manufacturer. I do not believe that these two ideas have to be mutually exclusive. 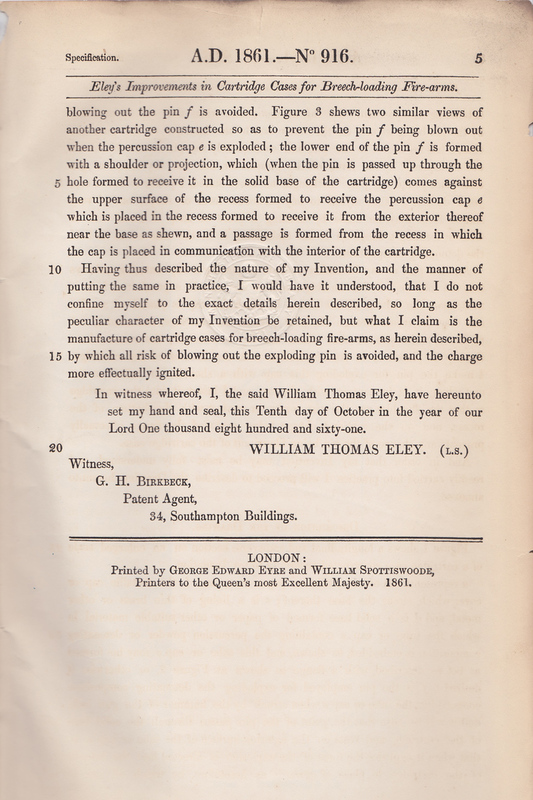 I think the cartridges Eley listed in 1860 could easily be the same design he patented in 1861. 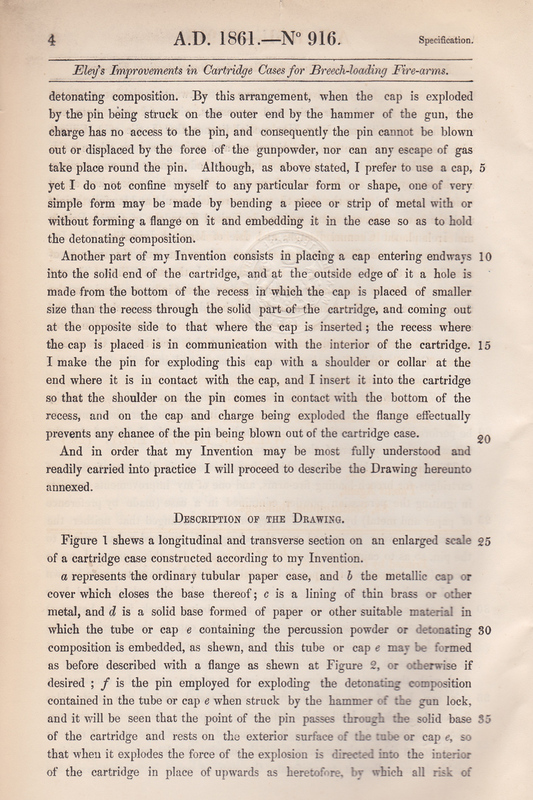 There are many examples of cartridges by various companies existing before they were patented. 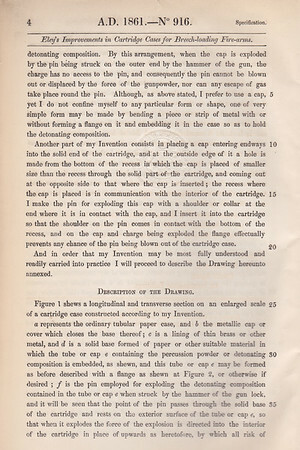 However there has never been a 16g version of this shotshell discovered. It is also possible that there was a completely different design that existed the first year. 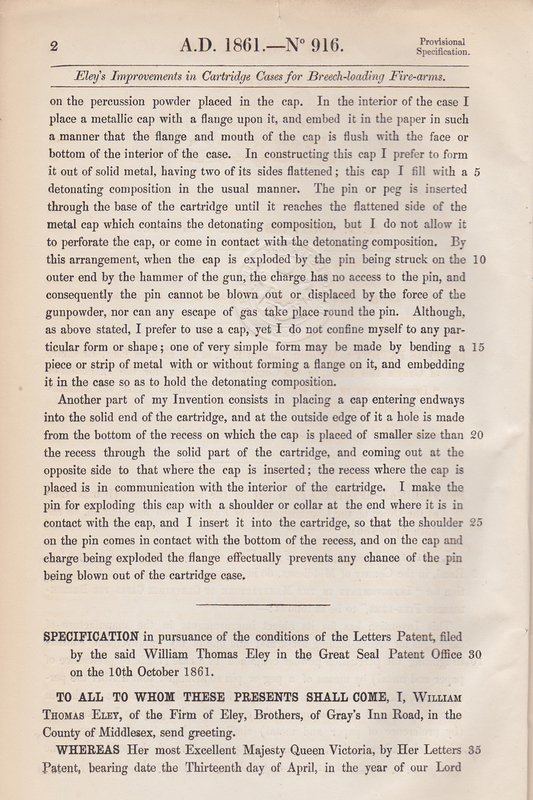 This actually makes even more sense for specifying 1861 on the headstamp for the new ones. 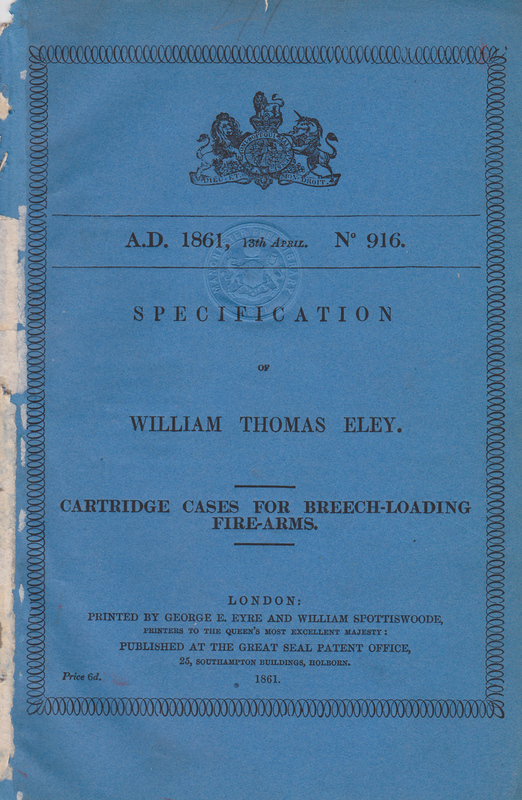 There is no way of knowing for sure but either way this is thought to be the earliest known shotshells made by Eley. Maybe in the future we will find something even earlier.